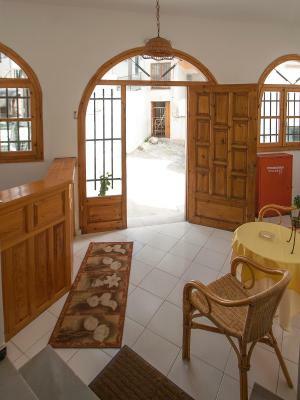 Lock in a great price for Pension Eliza – rated 8 by recent guests! The location of this place was good and very close to everything. There is also a good wash and fold laundry service close by called ''Snow White' (5min walk). We were traveling Greece for a month so nearby laundry services are always great. The staff at this hotel was very friendly. Beautiful Greek beaches. Our room had a balcony and chairs, air conditioning and a refrigerator. Easy 5 minute walk to the port. 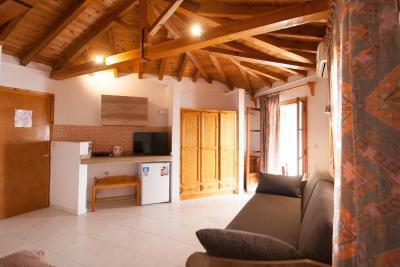 Nice cozy location off the main tourist track, but close enough to restaurants, shops and the harbor. The rooms where clean. Very good price. Very friendly staff. Good location and really lovely helpful staff. Room was also really spacious. 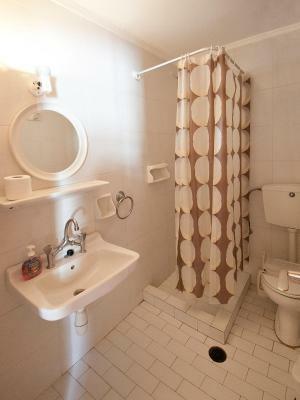 Convenient location, clean and tidy rooms, fresh towels daily, friendly staff. WiFi and air conditioning is excellent. 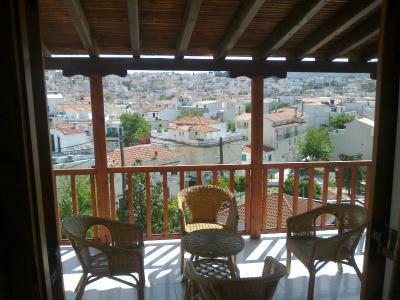 Great location, only 5 minutes walking from the old harbour of Skiathos. The rooms were extra clean and if you get a room with a balcony, the city views at night are beautiful. The wi-fi connection is ok, not very fast but reliable. The A/C worked perfectly since my room got very hot around 3pm every day until sunset time. 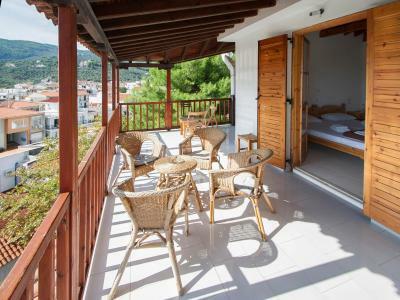 Situated in the center of Skiathos, Pension Eliza is only a 10-minute walk from the beach. 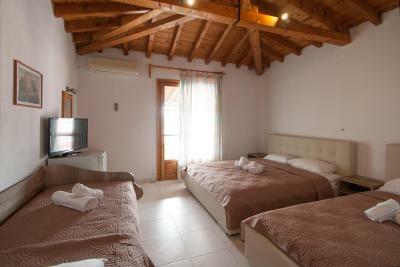 It features free Wi-Fi access and offers air conditioned guest rooms with private balconies. 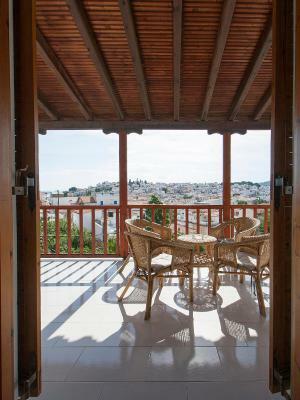 Pension Eliza’s bright rooms have views of Skiathos’ Town and the port. 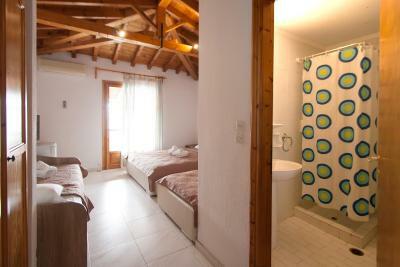 All rooms include a TV and fridge, and have private bathroom with shower. 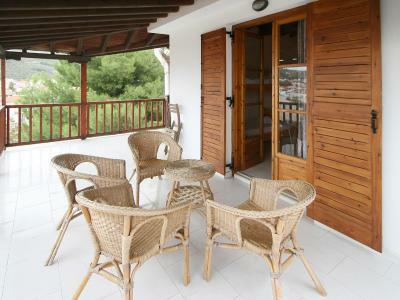 Eliza Pension is just a few hundred ft from Skiathos Town’ main road and a 5-minute walk from the port. 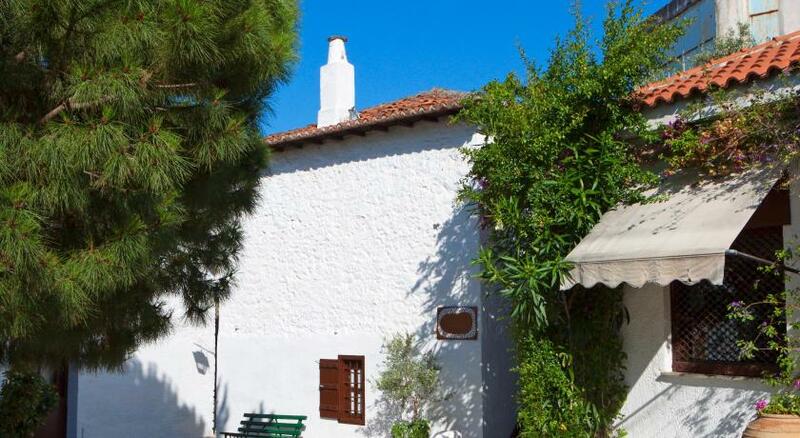 Papadiamantis House Museum of Skiathos is just a block away. Guests can use the nearby municipal parking free of charge. 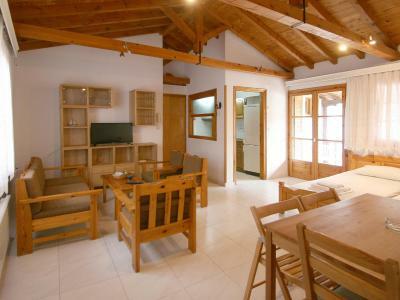 뀐 Located in the top-rated area in Skiathos, this property has an excellent location score of 8.7! 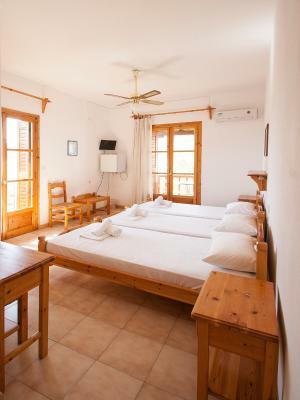 When would you like to stay at Pension Eliza? 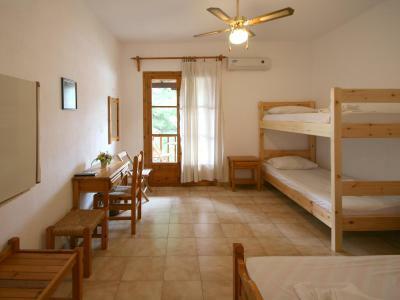 Each with a unique color combination and style, these double rooms have with a double bed. 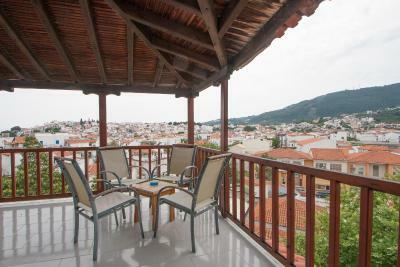 Located on the 2nd floor this room has unobstructed views of Skiathos Town from its large balcony. This apartment has a balcony, patio and washing machine. 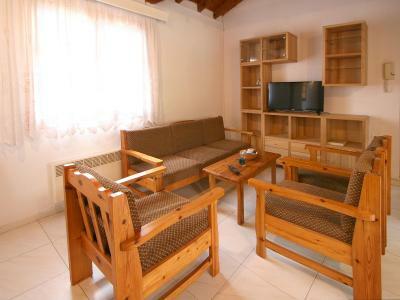 It is a family business that consists of 15 bedrooms in a quiet place in the heart of Skiathos, just four minutes walk from the main street (Papadiamantis) 5 minutes from the port and 5 minutes from the bus stop to the beaches also within walking distance supermarket for shopping pie for breakfast, fast food and internet cafe as well as a wonderful restaurant (Cuba) and all of them just within 4-5 minute by foot.The nearest beach is located 550 meters from our building. 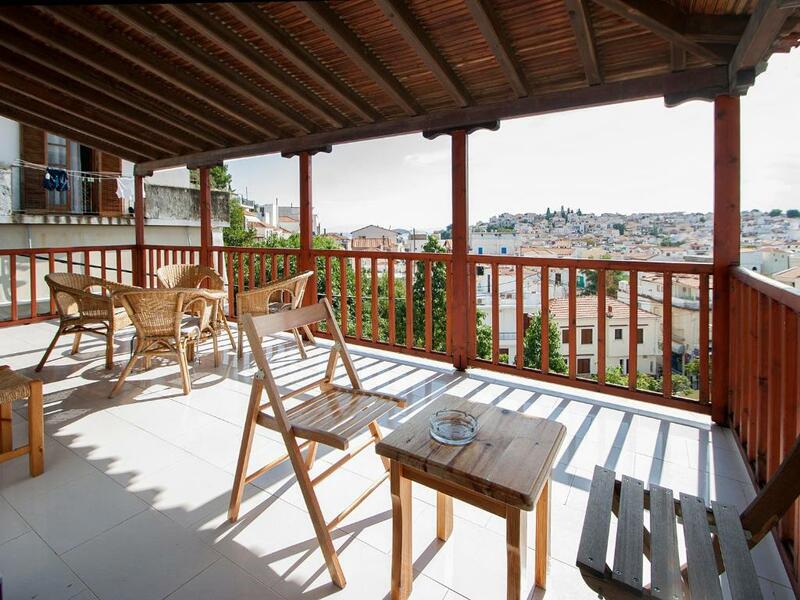 Our rooms are equipped with refrigerators, A / C, TV, and WI-FI throughout, also each of them has its own private balcony with beautiful view. 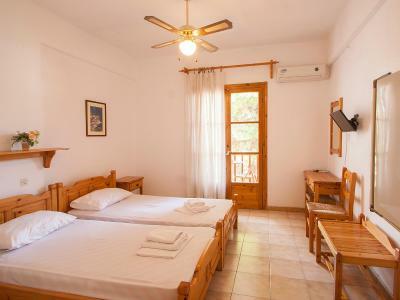 In addition to our building there is a large courtyard with tables and chairs for our guests where you can sit and have a drink or get the morning breakfast Finally we would like to inform you that our accommodation maintain every year and renovated everything necessary . We are waiting to welcome you and help you in anything you need so you have beautiful moments and memories from your vacation in the island of Skiathos. House Rules Pension Eliza takes special requests – add in the next step! Pension Eliza accepts these cards and reserves the right to temporarily hold an amount prior to arrival. Friendly staff. Exceptionally clean rooms. No shower curtains. No shower head holder. 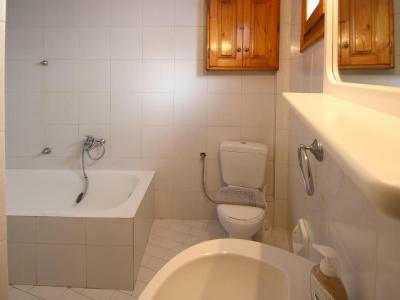 extremely narrow bathroom, no possibility of keeping dry, having bath. having room on the ground floor, next to the office, you're aways feeling a part of the staff. 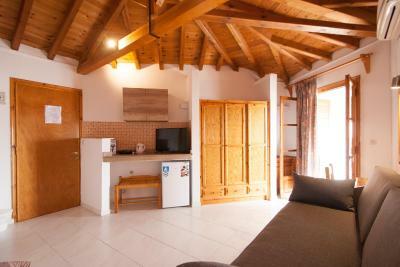 Do you know Difference between a hotel room, studio and one-bedroom apartment? The difference between one-bedroom apartment and a studio is that the apartment features separate spaces for the bedroom area, living room area and the kitchen area. However, a studio has a single large multipurpose room which serves as the bedroom, the kitchen and as well as the living room. 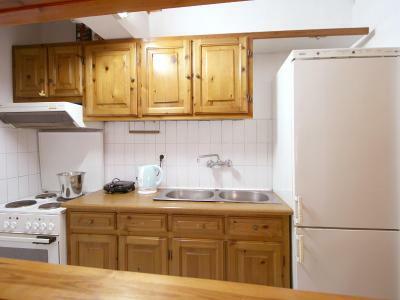 The difference between studio and hotel room is that the studio having private facilities as well as a kitchen (fridge, sink, hot plate for cooking as well as plates/cutlery, etc). Hotel room can include a small fridge. 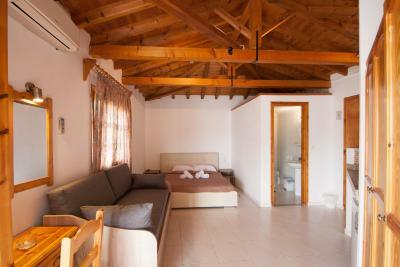 In Pension Eliza (Skiathos) they offer all three types of accommodation: Rooms, studios and one-bedroom apartment. 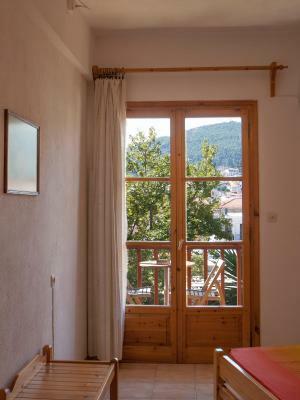 But it turns out that this apartment In Pension Eliza – it is just one room which a shared balcony with another room where your neighbors can be at any time of the day or night. This is cheating of customers ! One more caution - this place is in the middle of town. 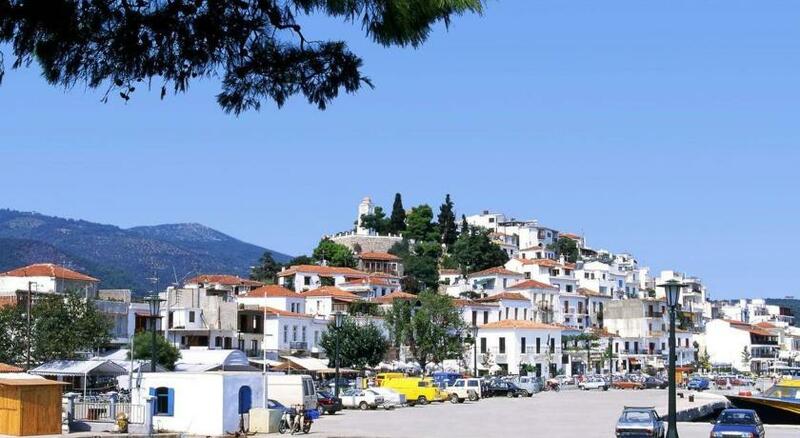 If you are driving car, parking is a major headache in Skiathos town and driving is also complicated with one way and narrow streets. It is not possible to take the car right to the apartment and we spent an hour plus trying to find the place and parking. 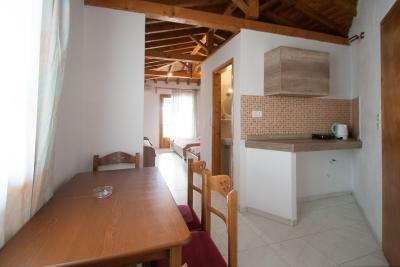 In Pension Eliza (Skiatos) they offer all three types of accommodation: Rooms, studios and one-bedroom apartment. 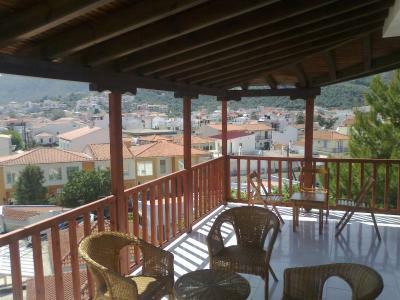 I have a large family of 4 people with adult children, so I chose the most expensive option of accommodation - "One-Bedroom apartment with balcony and Sea View". When I booked a hotel on booking.com site the description of this room had a picture of two different rooms with different furnishings inside these two rooms. Imagine my surprise when I checked into one-bedroom apartment I was shown a room without any bedroom, just one hotel room only with one small fridge. When I opened the door to the balcony, I saw on my balcony six teenagers drinking wine from bottles. So it turns out that this "apartment" – it is just one room which a shared balcony with another room where your neighbors can be at any time of the day or night. 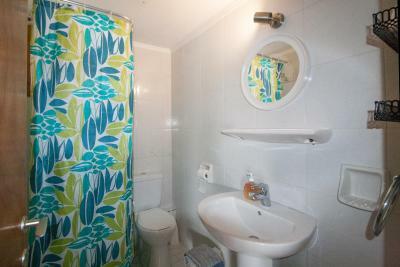 Such less important points as the promised view of the sea which was absent and the water in the bathroom which, after washing in the shower, always remained on the floor and did not go off to the sewer could not be mentioned. Our room was right above the public terrace of the hotel. 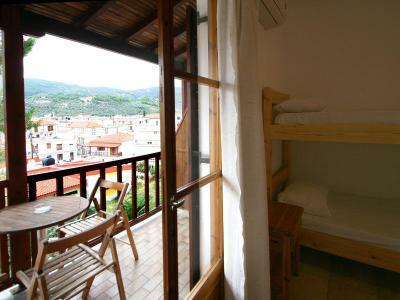 There was a group of eight young Greek boys drinking, speaking and laughing very loud underneath our window at night. It was impossible to fall asleep. At 1am, we asked the receptionist to make them leave as they were making noise on the property and disturbing all customers. She said she would do it but nothing changed. We asked the loud boys several times from our balcony to be quiet or leave, they obviously did not care as they were inebriated. At 3am, I asked the receptionist to make them leave and close the terrace to give us some peace. 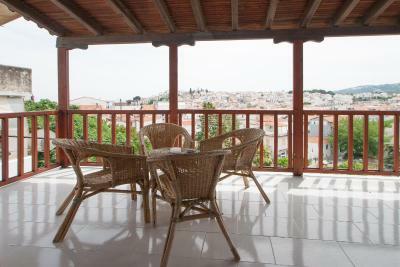 She replied that she "could not close the terrace", even though it belongs to the pension. At 4:30am, I asked one more time to the intoxicated disturbers to leave.They laughed in my face so I grabbed a bucket of water which I threw onto them. Unfortunately, this was the only way to get some peace. Very bad value for money. We slept for less than 3 hours. The staff did not care about the issue. This place does not provide parking so if you are renting a car finding parking is very difficult. The room we were given (quadruple room) was way too small for us with not enough beds. They knew we were a family of five when we booked and they gave us a room with three beds (bunkbed with 2 single beds, and one double bed). Room size was also very, very small. 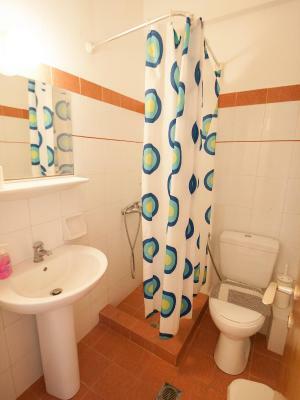 This room should not be offered to families of five. The noise level in the hotel from young party goers was terrible (people slamming doors throughout the night, people laughing and yelling in the hallways, people partying in their rooms). I'm not sure if it's always like this, but the fact that no one working at the hotel did anything about it shows me exactly what type of guests this place caters too, and doesn't care about those who are trying to sleep at 3am. 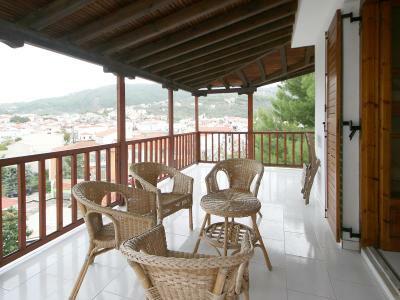 Our room description read 'Large balcony with unobstructed views of Skiathos town'. 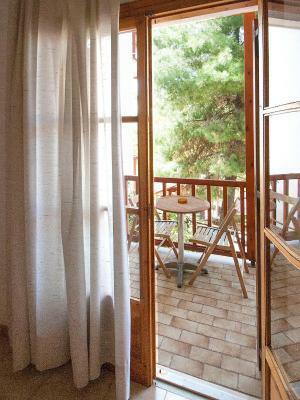 Our balcony was small, about 3' x 6' and there was a huge pine tree blocking our view. Complete opposite of what was in our booking.com photo and room description. If you are given the same description you may want to clarify with them to make sure that's what you are getting. Only stayed one night but everything was great.